It is always good policy to keep in touch with one’s roots. Though that advice applies to people in all walks of life, it becomes doubly apt for movie stars. There is typically a long and winding road that must be traversed before fame and success can be achieved. Sometimes the jobs an actor takes along the way are embarrassing, sometimes they are low profile but respectable, and sometimes they become almost totally obscured by the passage of time. Jim Carrey is one of the biggest names in studio comedy, and has been for many years. This weekend, he will appear opposite Steve Carell in The Incredible Burt Wonderstone. Before we go back to the multiplex to see the Carrey we know, it seemed appropriate to take a look back at the Carrey that once was. We plumbed the vault and found some marvelous gems from Jim Carrey past. 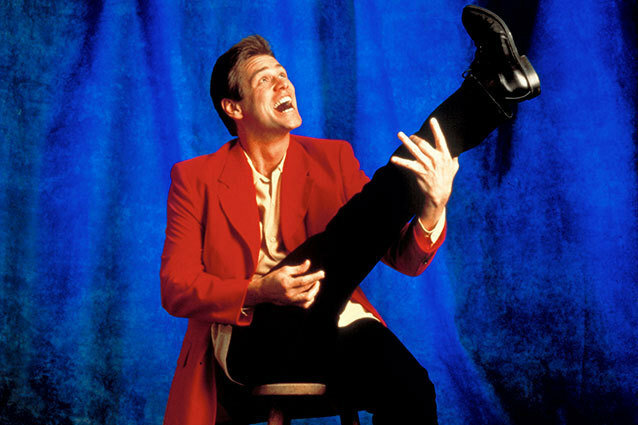 As with many of his ilk, Carrey began his career as a standup comic. This first clip shows Jim performing at a gig in the early 1980s. A number of the elements that would later define his comedy styling are present in this short set. He imitates celebrities with serious commitment scary accuracy. Similarly frightening is his intense physical comedy — again, something that would canonize him as a comedian for years to come. It’s ironic that The Incredible Burt Wonderstone satirizes Vegas headliners, just as does Carrey in this clip. RELATED: What Was The Last Great Moment Of Movie Slapstick Comedy? In 1984, Jim Carrey starred in a sitcom called The Duck Factory. If the name doesn’t ring a bell, it may have something to do with the fact that it was cancelled after just thirteen episodes. The show focused on a young animator who begins working on a series called The Dippy Duck Show. The Duck Factory wasn’t a terrible show, but even in this short snippet of the fifth episode, it’s clear why it failed to catch on with an audience. What’s interesting about the series, in relation to Carrey’s career at that point, is that he plays the new guy; a rookie who is still wet behind the ears. When one thinks of Jim Carrey, it’s typically one of his cinematical comedy outings that will leap to mind. The guy is every bit a movie star. One of his first roles came in Francis Ford Coppola’s 1986 dramedy Peggy Sue Got Married. Jim plays the boyfriend of one of Peggy Sue’s (Kathleen Turner) friends when she is magically transported back to her high school days. In this clip, Carrey joins Nicolas Cage and two other characters to do their rendition of Dion & The Belmonts’ “I Wonder Why.” If you look closely, near the end of the song, Carrey is again exercising his highly animated physical comedy. RELATED: Is ‘the Incredible Burt Wonderstone’ Offensive to Professional Magicians? Of all the entries on Jim Carrey’s resume that we have examined thus far, In Living Color is likely the one with which most people are familiar. However, this early 90s sketch comedy show is still easy to mentally misplace when considering the breadth of Carrey’s career. One of his most memorable characters on In Living Color was none other than the safety-crazed lunatic Fire Marshall Bill. Watching this clip, it becomes even more shocking that Carrey never seriously injured himself while diving recklessly headlong into his craft. After a while of becoming known as The Singing Comic Impressionist, Jim Carrey grew tired of being a one-note funnyman. He therefore decided to try a more improv-based, wildly unpredictable act that earned him entirely new attention. In 1991, Carrey landed his own TV special entitled Jim Carrey: The Un-Natural Act. Though a few impressions remain, this interstitial moment demonstrates Carrey’s then newfound love for off-the-cuff, guerilla-style humor. He walks around a grocery store, surreptitiously sampling different, and increasingly larger produce as he goes along. It’s a short clip, a moment that would play during the commercial break, but the laughs it engenders are substantial.